Life is a combination of simplicity and complexity. On one side life is very simple, on the other side, it's very complex. While complexity makes life interesting and aids for the growth, simplicity gives it breathing space. And it is both at the same time. How? You eat some food and you feel the food is digested, correct? But if you look into the process of digestion, it is a very complex thing. First the carbohydrates gets converted in the saliva, then it goes to the stomach and mixes with the gastric juices, then it takes some time there and gets digested. Then it goes through the duodenum and then it gets absorbed in the intestine and then some goes out, some goes up. The essence of it goes in the blood. So, in life also, darkness goes and light comes; wisdom dawns and ignorance fades away - this is a simultaneous process. You are washing a cloth, you are putting soap on it, the dirt is going away and the brightness is coming up simultaneously. 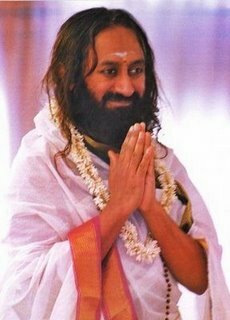 In life, when knowledge is to come up and ignorance is to go, you need a Guru; you need the Guru principle. So knowledge and then movement in life (meaning progress). It's not just enough to have wisdom; wisdom also has to come into action. It has to be useful. It's not just enough to have wisdom; wisdom also has to come into action. It has to be useful. If a great scientist says, "I have all the knowledge", what is the use of having all that knowledge? Did you use it in practical life? Someone knows all about organic farming, but if they have not done any farming, what is the use? You can have the knowledge and you can die with your knowledge. Have you made use of the knowledge? Did it get utilized in the society, in the world? It's one thing to get knowledge, another thing to be able to transmit it to others and utilize it. Movement of knowledge is an important aspect as well. Okay, you use your knowledge, but what is the result if there is no result. What is the end product? How much benefit has it produced? You had the knowledge of organic farming and you did so much work, but later on, nothing came out of it. I want to share one incident with you. Long time ago in the late 80's in the Bangalore Ashram, a gentlemen came from England. He said, "I want to do horticulture, plant lots of trees", and I said, "Okay". With all enthusiasm he bought pots and we got him the seeds. Whatever he wanted we gave him everything. So he brought the seeds and he put the seeds but his education was not for tropical climate, his education was for the arctic climate. So in the pots he put all the seeds, he put all the nutrition it needed, everything. Seeds were sown, water was being given every day, and finally we found there was not one sprout. Not one of those 100 odd pots became a sapling. So the achievement was zero. A villager who was around that place, we just gave him a quarter of the resource which were given to the educated person, and he sowed some seeds and grew many tomatoes and many other things as well. So often we think that people have knowledge and they use their knowledge, but achievement happens with something else. Usually we brand it as luck and leave it. Achievement is possible with that unseen law, with that unseen force that is called Sattva. Sattva means wisdom, harmony and a sharp intellect. Two gentlemen open shops next to each other. One shop is flourishing and the other shop goes down. In such a situation what do we usually say? It is luck. They are both doing the same business. Hasn't this been the experience? How many of you agree with me? Especially in Toronto. You will see that there are people opening similar types of restaurants, and one's is flourishing and another's is going down. You don't understand why this happens. This is where your eyes open to something beyond logic because we are programmed to think only in a logical way. Logic means what, connecting to what you already know. Linking the known to what is not known, but it need not be. The truth need not bend to that logic. If you say you will come by road to Canada all the way from India, you will never make it. Somewhere you will have to take a ship or a plane. If you say I want to go by road to Australia, forget about it. Can you go to Australia by road if you don't take a ship? Isn't it an Island? Yes, confirmed. So logic is like saying, "I will go only by road. I won't take ship because it's one planet earth". Come on wake up, some places you have to go on a ferry. You have to use the ferry. Ferry is the faith that one has to use beyond logic, beyond the shores -- that which takes you across the shores is a ferry. Achievement is possible with that unseen law, with that unseen force that is called Sattva. So it is said, "Kriyasiddhi satve bhavati mahatam nopakarane". Any action finds fructification not just by means, but by Sattva. You may have many means to achieve something, but it doesn't happen. Why? Sattva was lacking, and Sattva means wisdom, harmony and a sharp intellect. What we know as intellect is that which is within logic, but is there an intellect which is a step beyond logic.? Yes, that is the Guru principle. Guru represents that exalted intellect. An intellect from the other side. Do you see what I am saying? An intellect which is beyond logic. What we know as intellect is that which is within logic, but is there an intellect which is a step beyond logic? Is there an intelligence beyond logic? Yes, that is the Guru principle. 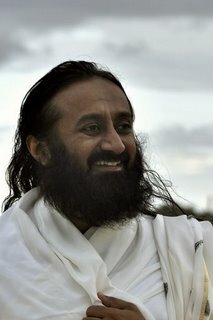 So achievement and success happens by that energy called Sattva, which means the Guru principle. 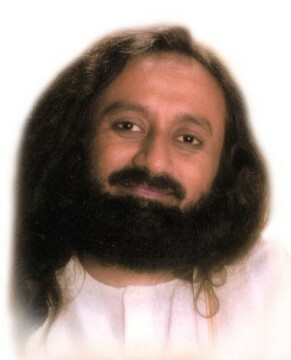 In the words of devotees, you will say grace, or 'Guru's grace'. If you are scientific you say, some unseen force, some other power makes things work. That's why a very advanced scientist always is in wonderment. He admits that he know less -- and what he does not know is only growing more and more. The more you know, what you don't know grows more. So spiritual science, spiritual knowledge belongs to that realm of the unknown and unseen. And for that you definitely need a guide from that realm. Yes!